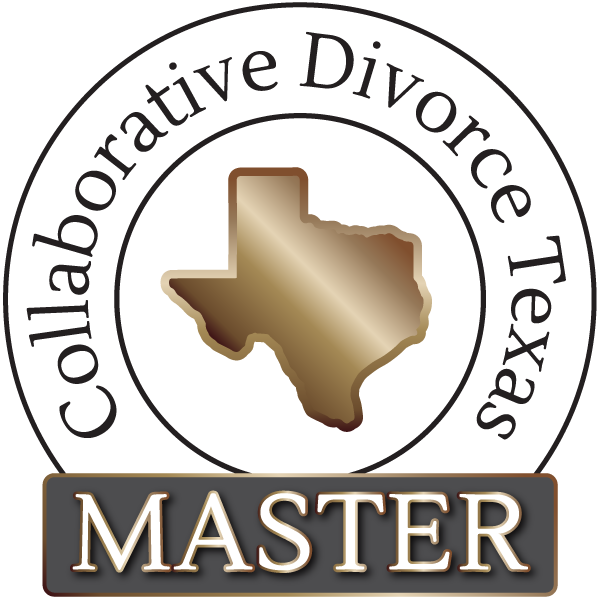 Collaborative Divorce: The primary focus of my practice is now Collaborative Divorce because I believe it is the best option for most clients and families facing divorce. I tried over 50 jury trials and, as a trial lawyer, I loved every minute of it, but as a human being, I came to realize that a trial in a courtroom is no place to restructure a family who is having to go through a divorce. The courtroom will finalize a divorce, but the collateral damage done to a family, especially the children, in a trial, is something from which they (and future generations) many never recover. Even though it is estimated that over 95% of all cases are settled before trial, few people consider the difference in a case that is settled late in the process, after the client’s resources are used to prepare for a trial that will never happen, versus the parties’ resources being concentrated on developing a quality, durable settlement. About 25 years ago, Collaborative Divorce was created by a visionary lawyer who imagined a process which would help families work through the divorce process, as awful as it is, in a way that will help the family heal and continue to be a family, even if they are not all living in the same home. The theory of Collaborative Divorce is based on science from the Harvard Negotiation Project, which shows that settlements reached using what is called “interest-based” negotiation rather than “positional” negotiation, result in overall better outcomes for everyone involved. Litigation: As described above, my primary focus is now on collaborative divorce in family law cases. However, in certain cases, litigation becomes a necessity. In those cases, after practicing nearly twenty-five years, I am ready and able to litigate if that becomes a necessity. As a lawyer, litigation is one of the most stimulating of all legal exercises. Drafting pleadings, written interrogatories, requests for production of documents, taking depositions, and going to trial is what most lawyers trained for in law school. Great television is made about famous trials. But in the end, huge amounts of money are spent and both parties usually feel that they have been ravaged by the judicial system. One collaborative lawyer stated that he believes it is much easier to go over to the Courthouse and “rip out the jugular vein of the other side” than to keep emotions in check for hours at a time during the collaborative negotiation process and resolve the case through that type of diplomacy. Final Note: A couple of years ago, I was involved in a three-week custody and property trial in a divorce case. All the attorneys in the case had tried to persuade the parties to settle prior to trial, but both parties desired to have a trial. About two-thirds through the trial, my client, the husband, asked to speak to me in the conference room outside the courtroom. That client broke down and cried at that point, saying that it was not possible to understand prior to trial how painful and destructive it would be. That client won the case, but after hundreds of thousands of dollars were spent on attorneys, expert witnesses, and the litigation process. At that time, my client asked to tell all my future clients to do whatever you possibly can to avoid the cost to the family relationship and the family estate that comes with trial. Course Director and Presenter at the Texas Bar CLE Collaborative Law Course 2009 co-delivering “The Splitting Syndrome in Collaborative Cases” with David Bouschor, II, MaryAnn Kildebeck and Steve Walker. Collaborative Law trainer with New Paradigm Training, offering interdisciplinary training for legal professionals, mental health professionals, financial professionals and their staff. Justice vs. Peace & Reconciliation: Have We Been Asking the Wrong Question All Along? – Wesley Milner, Ph.D. and Camille Milner, J.D. Member, Family Law Section of the State Bar of Texas and Denton County Bar Assoc. To schedule an initial consultation with an experienced Denton collaborative divorce lawyer, contact The Law Office of Camille Milner at 940-383-1990.